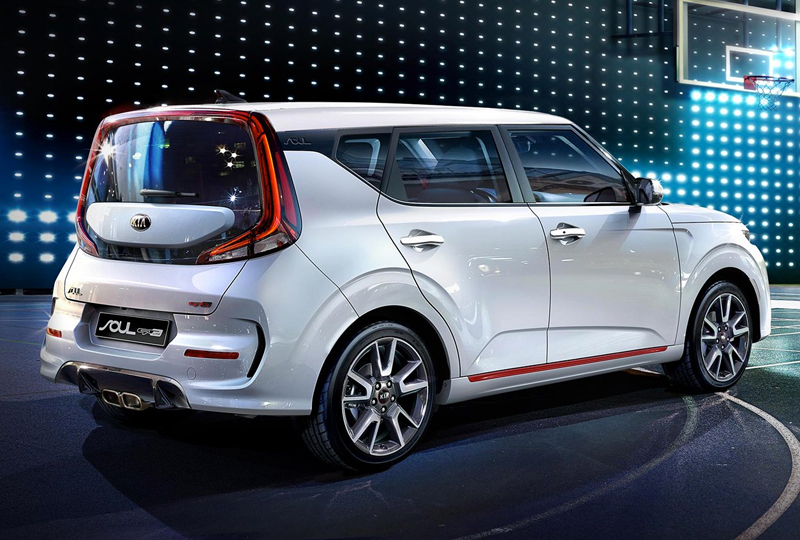 The 2020 Kia Soul for sale at Renaldo Kia in Shelby, NC, near Gastonia, NC and Gaffney, SC, is a fun and funky crossover hatchback that you’ll love to show off. The completely redesigned exterior is all new this year and will make heads turn on every corner. Under the hood, you’ll find a 2.0L DOHC in-line 4-cylinder engine with 147 horsepower. This means you get a noteworthy 25 mpg in the city and 27 mpg on the highway1 while using the standard 6-speed manual transmission. 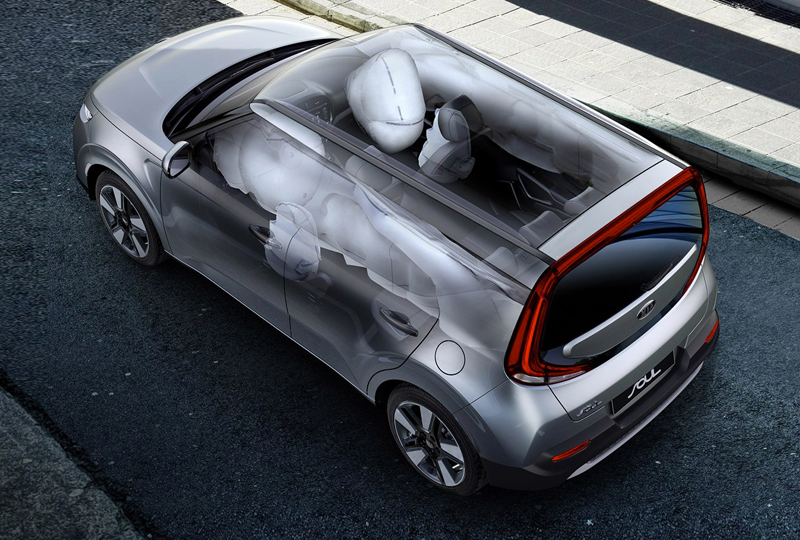 You can also choose an available Intelligent Variable Transmission or 7-speed dual clutch transmission if preferred. When you head west toward the mountains, you’ll definitely be thankful for Hill-Start assist control that helps you get moving uphill when stopped. If you’re a weekend warrior, a standard 60/40-split folding rear seat provides plenty of cargo area to pack your gear. Road trips have never felt better than when riding on woven cloth seating trim or optional SOFINO leatherette and cloth trim. You can even opt for available heated front seats to make cold December mornings a little easier. The optional Harman/Kardo® audio system with dynamic mood lighting connects perfectly with Apple CarPlay® and Android Auto™ so you can play all of your favorite music. 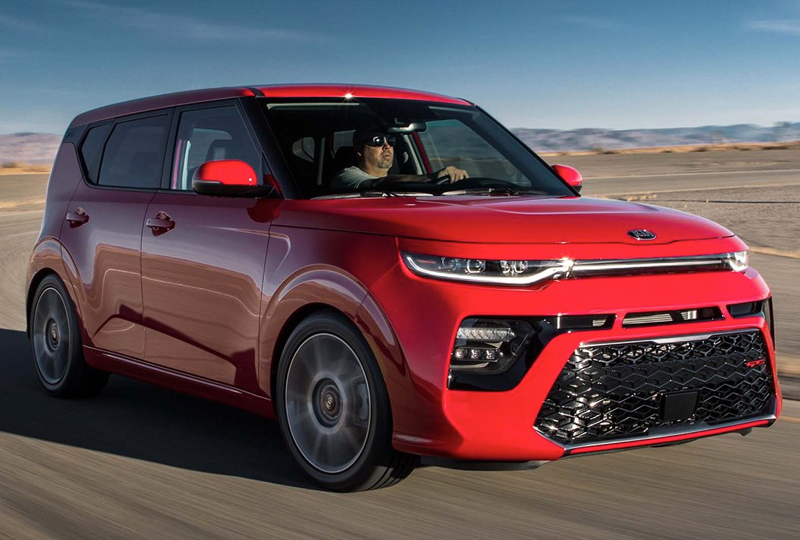 There’s never been a better time than now to buy a 2020 Kia Soul! Visit our showroom, located at 4425 East Dixon Blvd in Shelby, NC, to take a test drive. 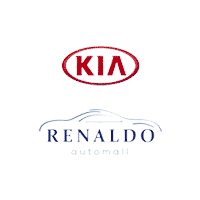 We can’t wait to see you drive home in the Kia you’ve been dreaming about! Bigger is better, at least for screens. 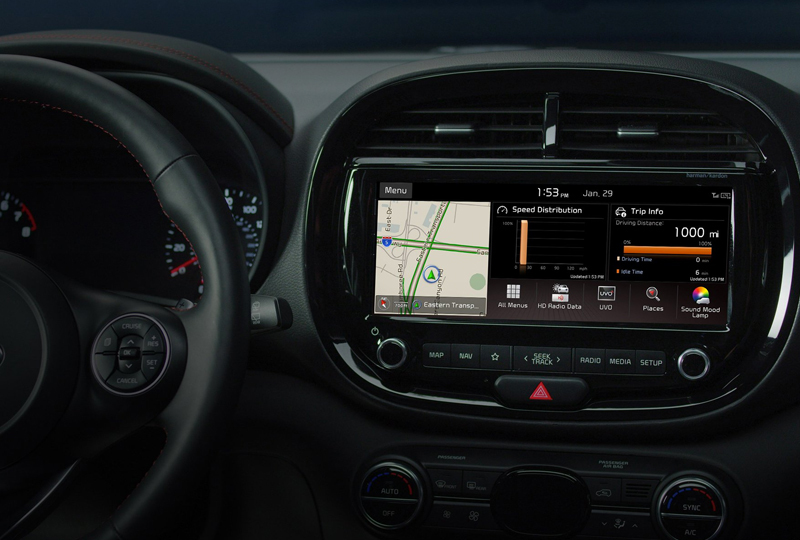 Lay your eyes and fingers upon the available 10.25” HD touchscreen, offering split-screen view, two simultaneous Bluetooth ® device connections, along with Apple CarPlay® and Android Auto™ compatibility.